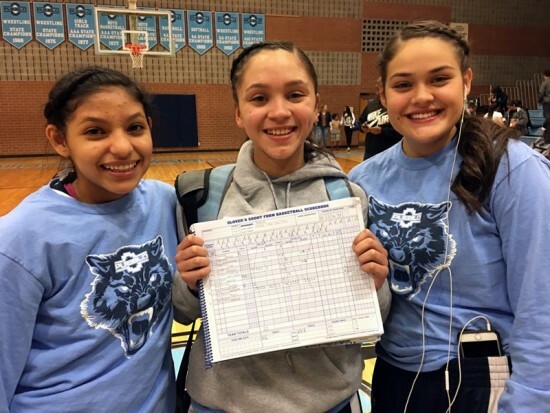 Alicia Reyes (Center) holds scorebook showing the 17 3-Pointers she made to break record. On January 27, Pueblo’s Girls’ Basketball team enjoyed a colossal win over Cholla with a final score of 98-11. Another victorious moment that night was sophomore Alicia Reyes, Class of 2018, setting a new state record. Reyes made 17 three-pointers during the game (for a total of 51 points in just three-pointers!) and ended up scoring a total of 57 points, topping the previous Southern Arizona high of 54 made by another Warrior, Angela Lopez, set in the 2007-08 season. “She [Reyes] is my shooter, she is my best shooter!” exclaimed Coach Ismael Galindo. The previous record of three-pointers made in a single game was 14 set last season by a Phoenix Sierra Linda High School student, Janae Gonzales. Reyes tied the national record of 17 three-pointers that was set by Rebecca Greenwell from Kentucky back in January 2013. One of the team’s greatest games this season was their matchup against the Safford High School Bulldogs; that evening, the Warriors girls’ basketball team broke that team’s 24-consecutive winning streak. The girls’ basketball team ended the regular season with a final record of 22-3, going undefeated in their section. They need the support of the Pueblo community when they take on the Casa Grande Cougars in the second round of sectional playoffs on Thursday, February 11. 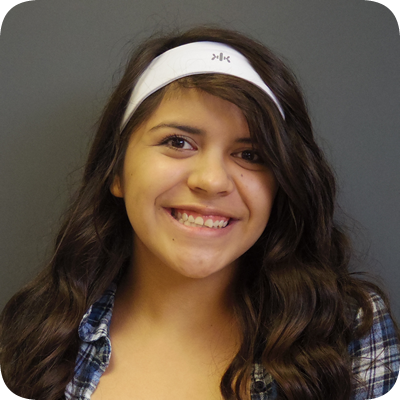 Previous Previous post: Pueblo Makes A Goal—A Winning One! Next Next post: Welcome, Mr. Montaño!